It’s a brand new year, and at this time of change and renewal I could look to the future and begin working to shape my life into the existence I want it to be. Or I could write about weird old arcade games. Could I do both? Maybe, but that would be severely underestimating just how lazy I am and I’ve already played this weird old arcade game so here it is: from the venerable Capcom and the less renowned Togo and Sigma, it’s the 1994 whack-em-up Ken Sei Mogura: Street Fighter! Yep, it’s that Street Fighter. The famous Street Fighter. No, not the Sonny Chiba film. 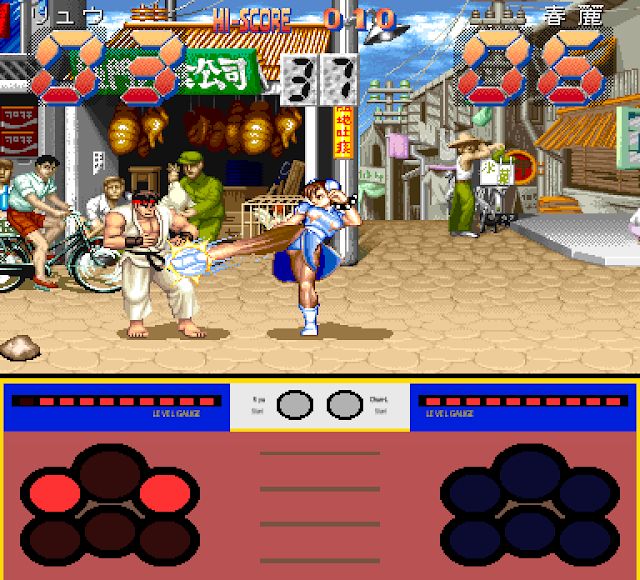 It’s Capcom’s legendary fighting game franchise, of course and because this game was released in 1994 it comes from a time after Super Street Fighter II but before the Street Fighter Alpha series, hence the appearance of the classic Street Fighter II logo beneath the grandiose and golden Ken Sei Mogura title. 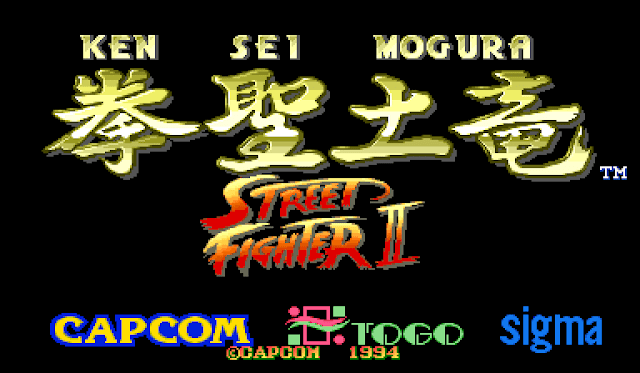 We all know what Street Fighter II is about, but “Ken Sei Mogura” translates as “Holy Fist Mole” and that might throw you off. I was hoping for a reboot of Wind in the Willows where Mole must survive in a harsh post-apocalyptic landscape using only compassion and his deadly martial arts skills, but no such luck. 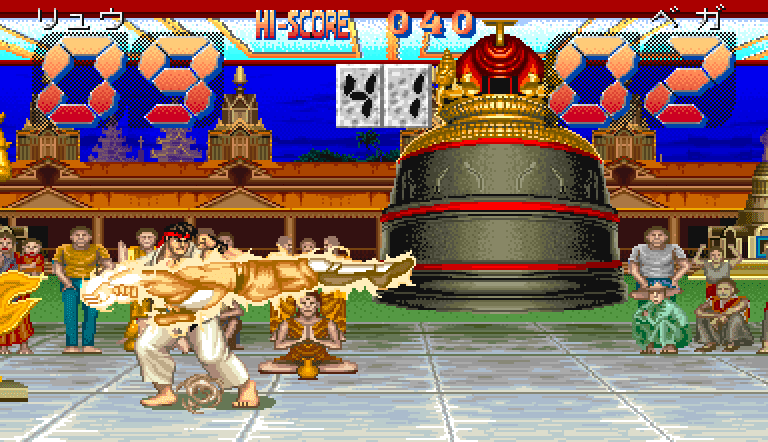 Kei Sen Mogura: Street Fighter is actually a Street Fighter II-themed whack-a-mole game. Despite the “holy fist” name, you hit the targets with mallets rather than punching them because shattered hands and lawsuits go, well, not hand-in-hand but you get the point. In this case, the “moles” are small plastic homunculi in the form of series antagonist M. Bison, and as far as I can tell this game really is a standard whack-a-mole game with a coat of World Warrior paint. For example, player one gets to play as iconic karate man Ryu, pictured here looking stern and intense. Of course, Ryu always looks stern and intense. That what happens when you spend all your spare time sitting under waterfalls. Stern, intense looks and a flat head. Player two controls Chun-Li, who also looks stern and intense but in a very “90’s anime OVA released on VHS by Manga Entertainment and famous for having an English dub full of comically overused swearwords.” In fact, I think this artwork might be based on the Street Fighter anime, but I haven’t seen that for years so I can’t confirm. The biggest appeal of Ken Sei Mogura: Street Fighter, especially for someone like me who’s been a big fan of Street Fighter games since playing an import copy of SF2 on a friend’s SNES, is seeing this new and unique art that, as far as I’m aware, never appears in another Street Fighter game. M. Bison is also here. This art isn’t totally unique, because it’s a trace of the cover art for Street Fighter II’: Special Champion Edition. I think I’ve mentioned it before, but I can’t look at this art without seeing Bison as having an inflatable throat-pouch like some particularly aggressive frog. Then you get to the whacking part of this whack-a-mole game. 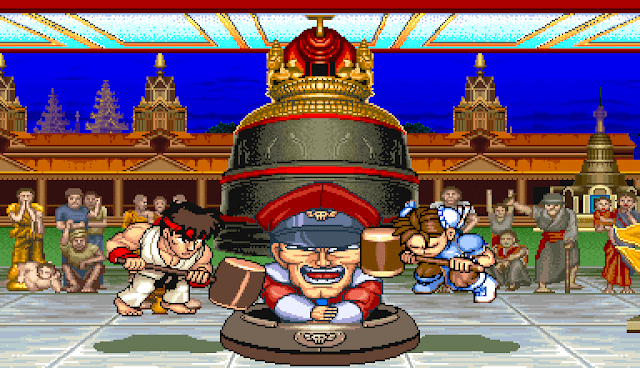 Hit more of the M. Bison puppets that pop out of the cabinet than your opponent does to win. You all know how whack-a-mole works, I’m sure. KSM:SF also has a monitor, and you get to see your fighters duke it out while you’re playing. As you clobber the mini-Bisons, your character will attack their opponent, even throwing out special moves as your total begins to climb. 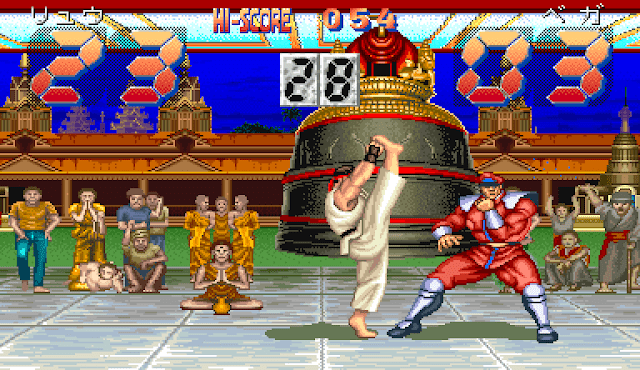 After twenty seconds the game pauses briefly, presumably to both represent Street Fighter II’s best-of-three-rounds battle system and also to give your whacking hand a rest. Look, it’s almost impossible to write about this game without double entendres popping up all over it so I’m just going to leave them in. Then you bash some more Bisons and whoever has the highest score at the end of the round wins. Now, you might be thinking “how are you even playing this game, VGJunk? Do you have an actual Ken Sei Mogura: Street Fighter machine in your house?” and no, obviously I don’t. If I had the £1,800 needed to buy the cabinet I saw for sale on eBay? No, I still wouldn’t get it. Sure, it’s big enough that I could probably live inside it to save rent and sharing my living space with twelve small plastic M. Bisons sounds like an amazing pitch for a sitcom, but obviously I’d put that money towards buying an OutRun 2 cabinet. Naturally I’m playing KSM:SF via emulation, and it’s some really cool emulation at that. Here’s what KSM:SF looks like in MAME. I’ve been cropping the bottom panel out of most screenshots in the interests of keeping the screenshot sizes down, but here’s the controls you’re working with in their full glory. The “holes” light up when there would be a Bison popping out of them, and you can either map a key to each hole and then press that key to “hit” the hole, or you can even use the mouse and click on the appropriate hole. The amount of dedication that someone put into recreating, as fully as possible, the gameplay of a throwaway arcade novelty interesting only to Street Fighter obsessives is genuinely heartwarming. If you manage to beat your first opponent, M. Bison appears and challenges you to a whack-a-mole duel so ferocious it will shake the very heavens themselves. I heard that if you pass the first stage without missing a single mole, Akuma jump out and kills Bison with a padded mallet. 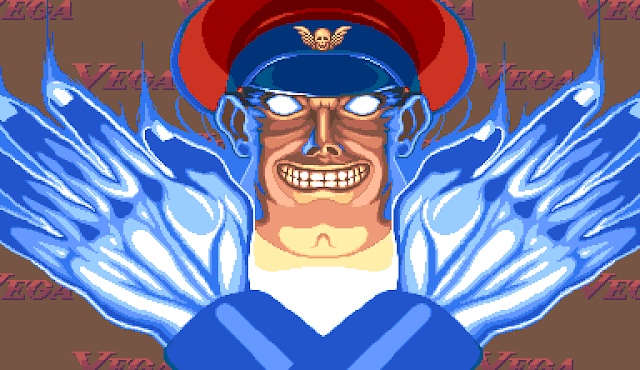 So, then you fight Bison and it’s the same as the first fight except you have to score better to beat him. This is not difficult to do if you’re playing the emulated version of the game, because you can set a key for each hole and just keep tapping them all at once. Using the mouse is a little more challenging but obviously it’s nothing like physically hitting the Bison-moles with a mallet. I’m sure the real version works fine, though. I’ve never played a whack-a-mole game where my careful, precise strikes didn’t quickly devolve into the frenzied thrashing of a cat with sellotape stuck to its paw once the action starts speeding up, and I’m sure KSM:SF would be exactly the same. It does make me wonder why there weren’t more whack-a-mole cabinets based on other, more appropriate videogames. 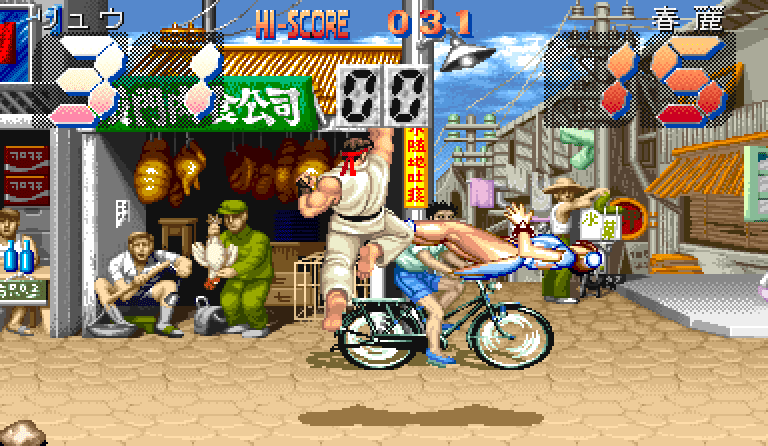 Street Fighter II was still phenomenally popular even in 1994, so this game does make a kind of sense – you could have put the Street Fighter logo on a matchbox filled with live hornets and kids would have rushed out to buy it. Still, you’d think there would be more appropriate games to turn into a whack-a-mole challenge. Any game where the protagonist uses a hammer, for starters, so how about a Donkey Kong version? That’d work. Or there’s Hammerin’ Harry. Or, erm, okay, so I’m running out of potential candidates here. Was there ever a Timmy Mallett videogame to spin off from? Let’s hope not, because then I’d feel compelled to cover it for the site and I’d like 2018 to start out as stress-free as possible, thanks. 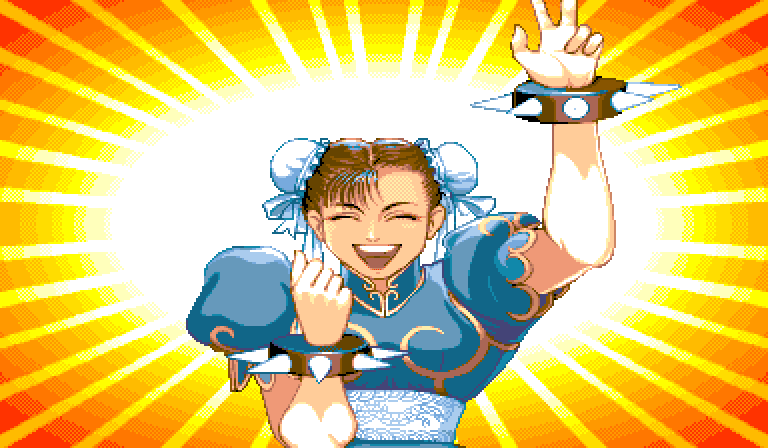 When you win, you’re treated to another piece of obscure Street Fighter art and you know what? For a game that is, as mentioned, a novelty and one that takes about two minutes to “complete,” this is a more than acceptable reward. Hell, it’s better than a lot of “real” arcade game endings. So, here’s Ryu looking muscular and slightly confused about having to whack moles. 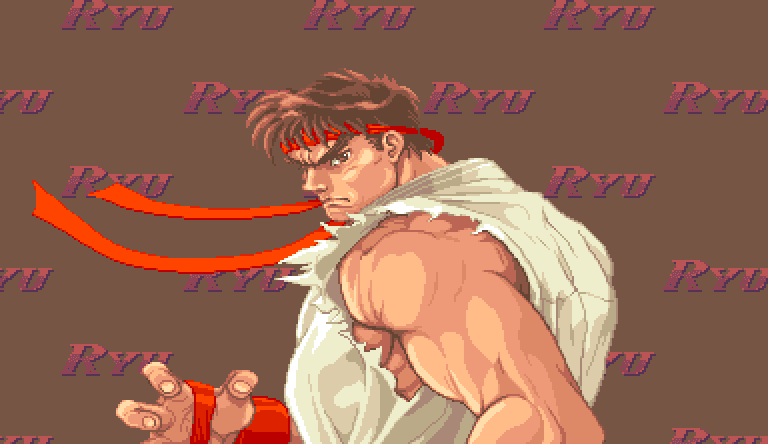 When I first saw it, I though Ryu was using his right had to teasingly pull open his gi so we could all see his rippling abs. He isn’t. 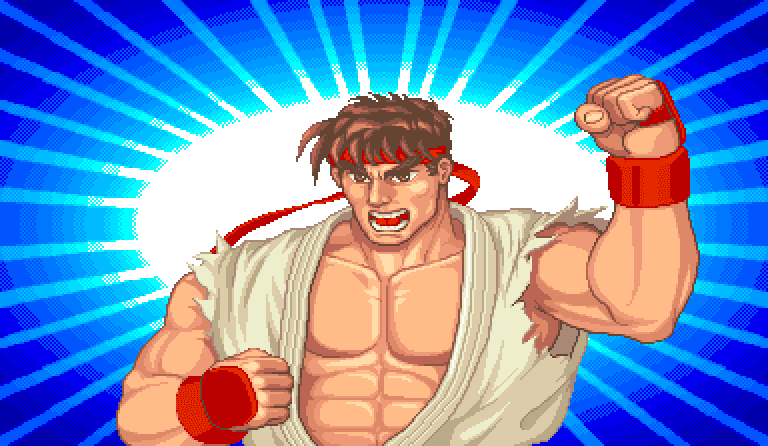 He has his fist clenched, because he’s Ryu, he always has his fists clenched. When he wants to brush his teeth he has to ram the toothbrush into his fist handle-first. Finishing the two rounds as Chun-Li also nets you a picture, and this time it’s just a straight-up good picture of Chun-Li. She bloody loves whack-a-mole, just look at her beaming face. How incredibly wholesome. Plus, she beat up the man who killed her father, that’s got to be worth at least a grin. 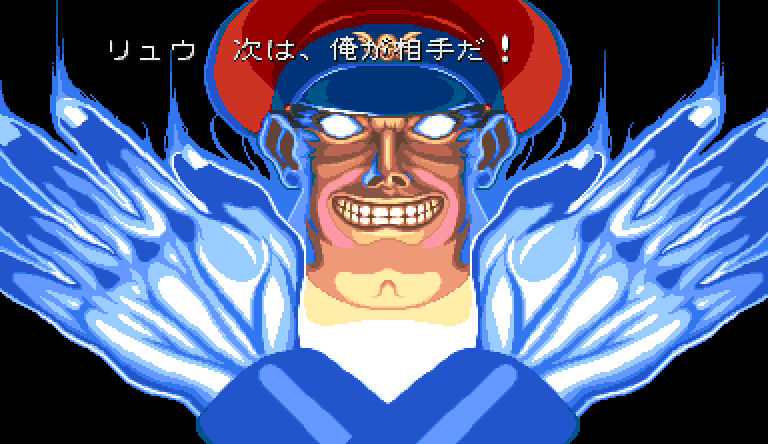 Ken Sei Mogura: Street Fighter is a weird thing, and what worth is there in the world besides weird things? Everything that we love started out as a weird thing before becoming popular enough to stop being weird. Music was just a caveman trying to make his grunts sound nice, you know? 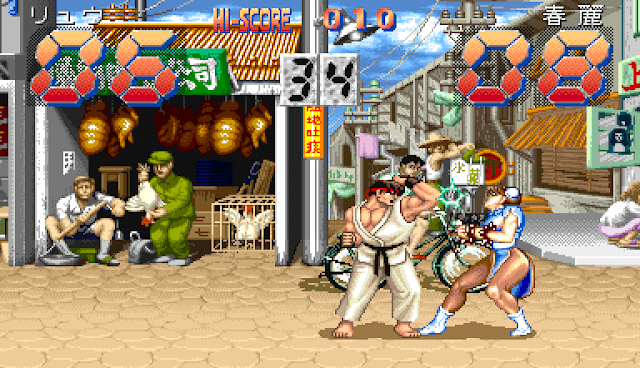 So I’m happy that the first game of the year on VGJunk is a Street Fighter whack-a-mole spin-off. Sure, playing it through emulation removes the central pleasure of physical violence, but that fact that you can play it at all is fantastic. Christmas activity centre Barney Bear Meets Santa Claus! You thoroughly covered any and all questions I may have had about this game almost as soon as I asked them. Well done. Okay, so I only really had two questions, but you know. They still got answered pretty darn quickly. You should look at The First Funky Fighter. It's similar in concept in that there's nine buttons to press as quickly as possible, except it's extremely violent. 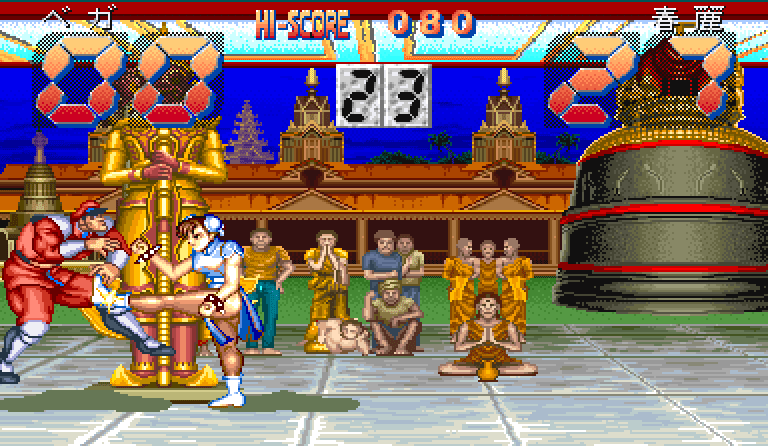 I love how the last screenshot looks like Chun-Li has just finished a swift sharp kick into Bison's nutsack. 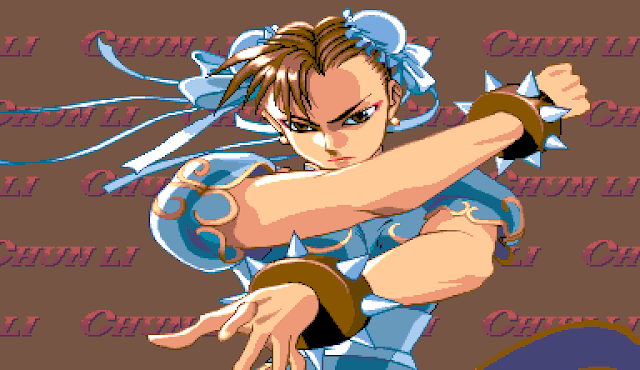 I'm sorry to disappoint, but it looks like Ryu's and Chun Li's art are also traced from Champion Edition (from the official illustrations). Nothing tops whacking mini M. Bisons with a mallet, though. You should look at The First Funky Fighter. It's similar in execution in that there's nine buttons to press as quickly as possible, except it's extremely violent. An arcade I used to go to had one of these for a few years, but the screen itself didn't work/was turned off so I never knew there was more to it than hitting little Bisons. Not that you really need any more than that to get my quarters.